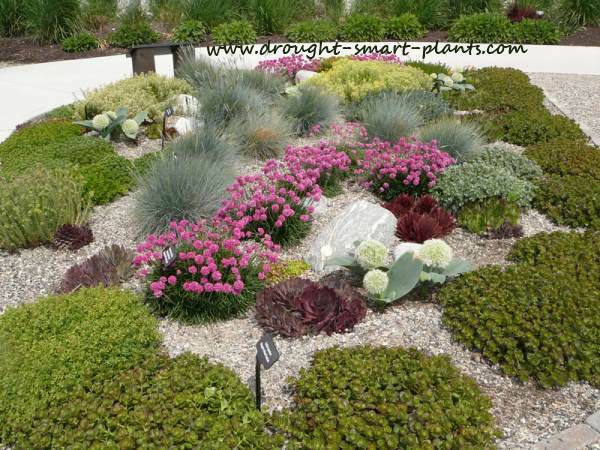 It’s a new buzz – xeriscaping has taken the gardening world by storm and Kelowna is in the forefront with the Un-H2O Garden. Water restrictions, drought, heat, climate change, the need for low maintenance, along with a great reluctance to give up beauty – all these factors come into play in a town that prides itself on the orchards, vineyards, parks and surrounding natural beauty. 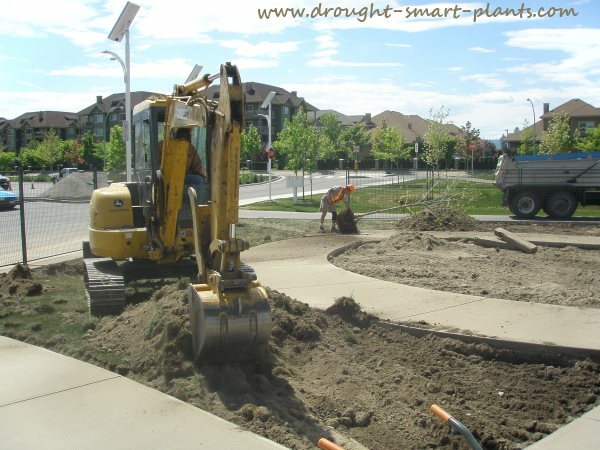 Kelowna as well as other Okanagan cities is famous as a tourist destination as well as winter and summer playground, and now the xeriscaping capital of British Columbia. 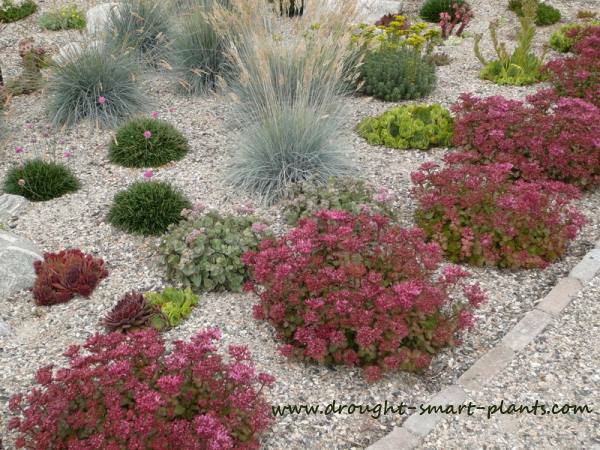 On the front lines of the newest trend is the Okanagan Xeriscape Association, with ties to xeriscaping and water friendly nurseries and garden designers. 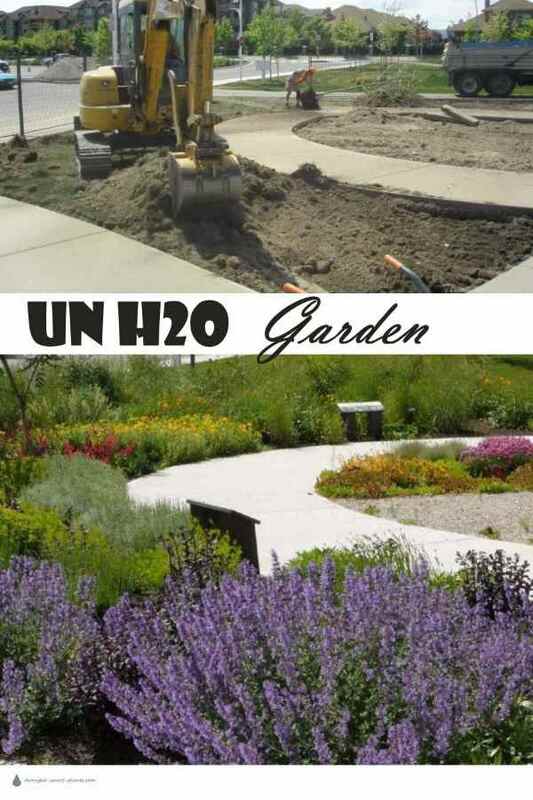 The Un-H2O Garden is the latest in a series of innovative and environmentally friendly gardens that this ambitious town has seen happening lately. 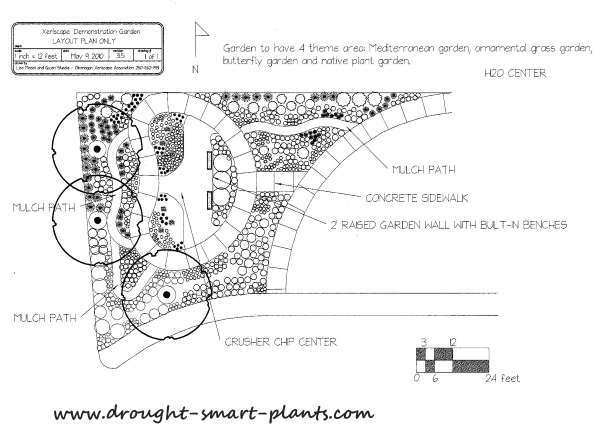 This garden is being built essentially from scratch, using volunteer labor, and donations of drought smart plants, not just from my nursery, but others as well. Update: the garden was finished and opened to the public in the summer of 2011. 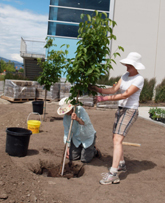 "The non-profit I co-founded - Okanagan Xeriscape Association – has partnered with the City of Kelowna to build a 4000 square foot xeriscape teaching-demonstration garden in front of the H2O Adventure Center in Kelowna (which is a high-traffic brand-new YMCA facility). 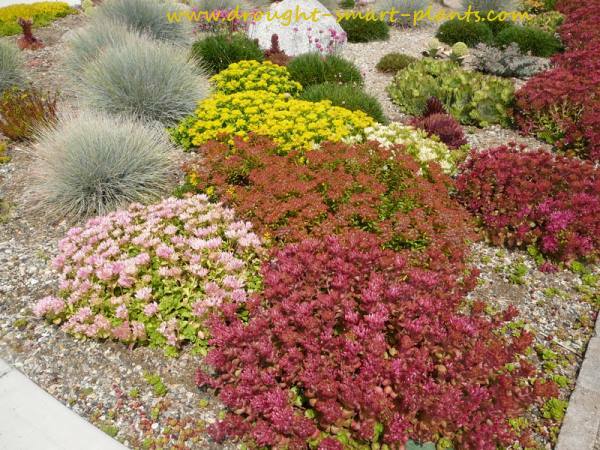 The purpose of the garden is to show people the variety of garden styles that can be achieved using xeriscape methods, including a Mediterranean garden, ornamental grass garden, native garden, and butterfly garden." "So far we are fortunate enough to receive donations for soil, irrigation, crusher chip, etc. and now we are hoping to find sponsors who will provide an in-kind donation of plants. 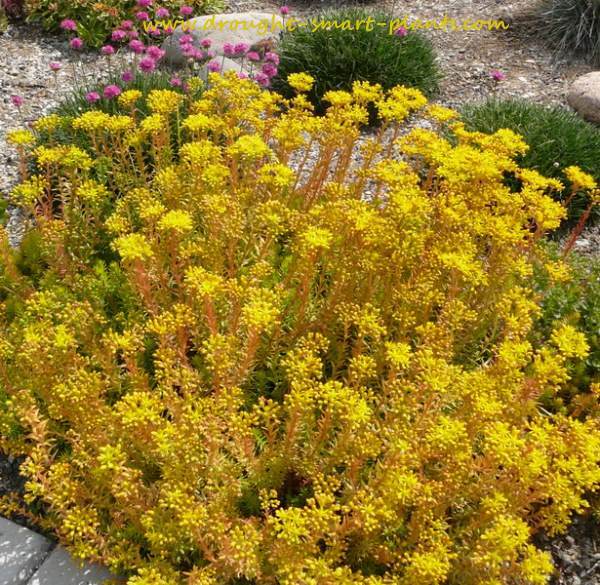 We are planning on using lots of Sedum and Sempervivum in the garden because of their great drought tolerance and variety of styles and colors." "I know you have a very good selection of those in your nursery, so I am wondering if you’d be interested in becoming involved with the project." 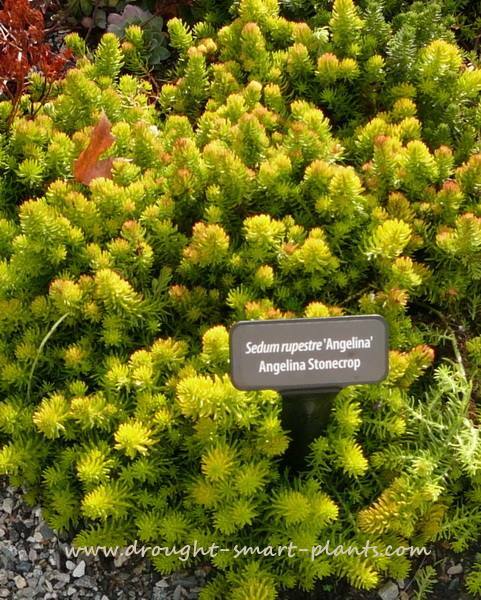 I happily donated 30 different types of Sedum, including Sedum reflexum 'Angelina', Sedum reflexum 'Blue Spruce', Sedum spurium 'Dragon’s Blood' among others. I also donated around 60 different Sempervivum to the project. Shipping them by Greyhound bus was quick – with delivery the same day! 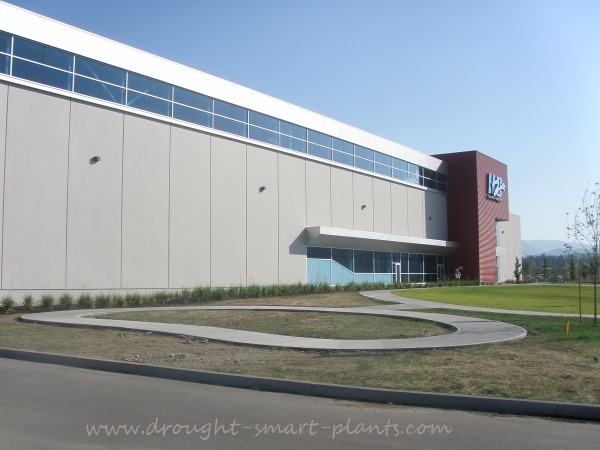 "This is a great opportunity to get involved in an exciting project that will ultimately benefit us all by teaching people how to better conserve water – currently 24% of water in the Okanagan valley goes to residential yards, which we will absolutely need to reduce in coming years! "Things are going great with the Un-H2O Garden! It is going more slowly than I thought it would but we are getting there. About 3/4 of the planting is done, we’re building the garden wall next week, starting with the irrigation, and starting with the mulch. 4000 square feet is a lot of space." "SHAW TV came out yesterday and interviewed Gwen and I in the garden; it’s going to run starting Thursday at 5pm on channel 11 on the ‘Eric Homes’ segment. That was pretty fun." And then even better - "I got some good news that we are getting funding from Environment Canada’s EcoAction program; they are going to match any in-kind donations we get. So that gives the organization a lot more financial breathing room for things like developing good interpretive signage and promoting the garden!" The Un-H2O Garden will be a meeting place for the whole community, to see the way the plants deal with the harsh climate, and as it unfolds, will be a place of beauty too. 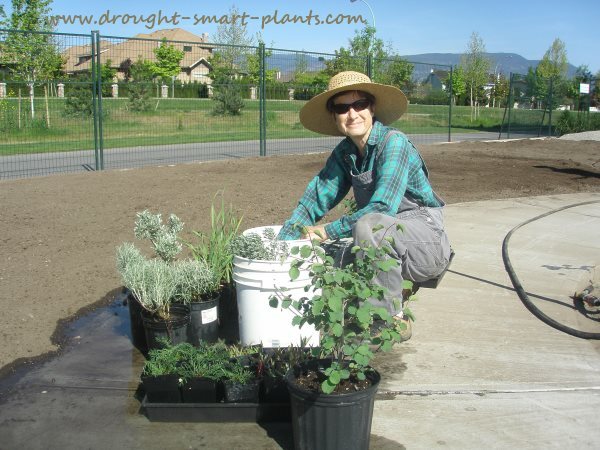 For more updates, check out the Okanagan Xeriscape Association on Facebook.